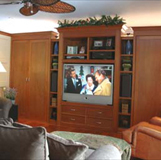 Convenience, simplicity, and a bit of luxury, that is what Shanahan provides to home owners throughout New England. 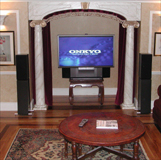 We design, sell, install and service state-of-the-art home theater systems. 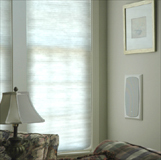 We can even work with you to unite all independent home subsystems such as lighting, climate, security, audio, video, entertainment, and computing into one common control system. The Filias home features an Onkyo Professional DVD player and DTS Home Theater Receiver complemented by Atlantic Tech's Subwoofer and Surround Speakers. For the Gallo family Shanahan Sound used Tannoy In-wall speakers to give a neat, concealed look to their surround sound system. Call us today at 978-453-1556 for a free copy of our article published in North Shore Magazine - "How Smart Is Your Home?